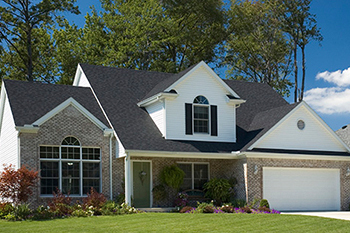 Pest Control in Ucon, ID | Pest Control Services Inc.
Ucon is a great place to live and raise a family. If you ask any residents to name one distinguishing characteristic of this city, they'll most likely mention its serene atmosphere. Don't be surprised if they follow up with a warning about the pests here. Ucon has a number of invasive critters and rodents. Thankfully, you have friends at Pest Control Services, Inc. The professional pest exterminators on our team are at your service. Let us treat your residential and commercial properties. Settling down in Ucon comes with many benefits, but it's imperative for you to understand that pests will invade your living quarters and take up residence at any moment. The culprit can be anything from ants and termites to rats and roaches. When an infestation develops, you may have difficulty with identifying the signs early on. The longer the culprit stays, the more damage it will likely inflict on your home. This is especially true if you're dealing with a bad case of termites. That's why it's in your best interest to be proactive. At Pest Control Services, Inc, we take the fight to the unwelcome visitors. Keep in mind that all pests have an extraordinary ability to find and exploit unguarded entry points. Since they only crave food, water, and shelter, it won't take them long to get comfortable and content with your lovely dwelling. This means getting them to leave is going to require the specialized skills of a seasoned pest exterminator. Insects and rodents can't outrun or hide from the professionals at Pest Control Services, Inc. We're proficient at nipping infestations in the bud. Because our No. 1 objective is to help you maintain a critter-free indoor environment, we'll take the time to put together a customized treatment plan for your home and your lawn. Your place of business is also at risk of being invaded by pests, and when that unfortunate day comes, there's a good chance that your reputation will take a hit. Also, depending on the culprit, your day-to-day operations may come to a halt. This is a real possibility because some bugs and rodents have a knack for chewing on wires and burrowing through structures. As you might expect, your employees and customers will likely feel uneasy and uncomfortable if they spot creepy crawlers walking around. However, worrying about such an ordeal is unnecessary. At Pest Control Services, Inc, we know how to give your business a reliable layer of protection. The exterminating methods we use are more effective than any over-the-counter pesticide. With our experience and tried-and-true equipment, we're serious when we say that we can handle all your needs. Whether you own a home or a business in Ucon, you can rest assured that you'll be a priority at Pest Control Services, Inc. No customer of ours will go days without a solution. Our specialty is resolving infestation issues with great efficiency. When we come to kick pests out of your residential or commercial property, we'll make sure to do a superb job so that they won't return. That's why you don't have to rely on multiple companies anymore. We're 100% committed to your satisfaction. Contact Pest Control Services, Inc. at your earliest convenience if you want a free quote.